Vancouver has no shortage of parks and gardens, offering visitors plenty of opportunity to relax and immerse themselves in a little greenery and natural beauty. Choose from Vancouver's fantastic downtown spots such as Stanley Park, or smaller more tended sites in Vancouver, such as Chinatown's Dr. Sun Yat-Sen Classical Chinese Garden and the Van Dusen Botanical Gardens. Here are Vancouver's main gardens and public parks. 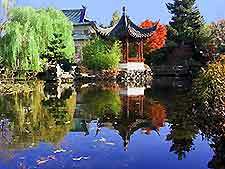 The Dr. Sun Yat-Sen Classical Chinese Garden is located in Vancouver's Chinatown district and offers visitors a true taste of tranquility and serenity. Created in the style that is typical of the Ming Dynasty, these high-walled gardens are beautifully tended with magnificent trees, flowers and plants as well as soothing water fountains. Guided tours of the gardens are available and include free Chinese tea. Covering a massive area, Queen Elizabeth Park was built on the site of two old quarries and is now hailed as one of the world's finest public parks. 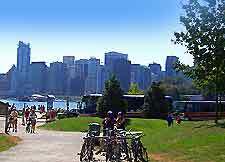 Its location affords it some wonderful views over Vancouver city, while the Rose Garden, Quarry Gardens and Arboretum are also worthy of mention. 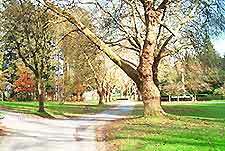 Besides offering peace and relaxation, there are tennis courts and a golf course for sporting types. 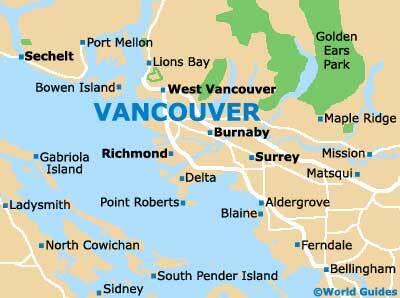 Vancouver's Stanley Park is hailed as one of the world's biggest urban parks, covering a whopping area. The park's appeals are many and the plethora of flora and fauna is certainly among the best reasons for visiting this scenic greenbelt area. Situated only a short distance from downtown Vancouver, recreational facilities at the park include a pitch and putt course, children's farmyard, miniature railway, heated ocean-side swimming pool, bathing beaches, tennis courts and a children's water park. This University of British Columbia Botanical Garden facility features more than 7,000 species of plants from around the world, set in a scenic coastal native forest. The area is well tended and features wonderfully designed landscapes, which include a native garden, food garden, Alpine garden and an Asian garden. Located in the middle of central Vancouver, the Van Dusen Botanical Gardens offer visitors an abundance of greenery featuring lovingly cared for trees, plants and flowers. The garden's displays of flora are split into lawn, woodland and lakeside settings, and feature both local and imported plant varieties. Flowering rhododendrons in late spring are especially notable, as is the foliage during the autumn / fall season.